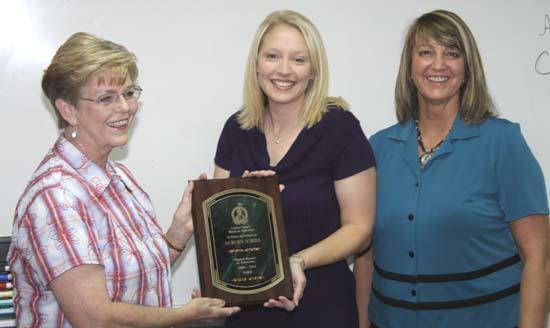 Barbara Corry, left, Supervisor of Attenance for Cannon County Schools, and Barbara Parker, Director of Schools, presents Auburn School principal Melinda Crook with the Attendance Award for 2009-2010. Auburn School in Auburntown had the highest rate of student attendance during the 2009-2010 academic year, Cannon County Schools officials announced Monday. Auburn, with 95.81 percent attendance, edge out Woodland with 95.75 percent for first place. East Side finished third with 95.61 percent and West Side fourth at 95.35 percent. Rounding out the list were Short Mountain (94.70%), Woodbury Grammar School (94.42%) and CCHS (93.9%). Melinda Crook accepted the award for Auburn School. Roger Turney was the principal there last year before returning. 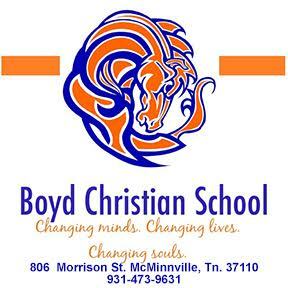 Crook is the new principal, having served previously there as a teacher.